Jonas Asplund, was a farmer, a pilot . 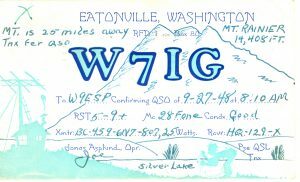 . . as well as a ham radio operator, call sign W71G. 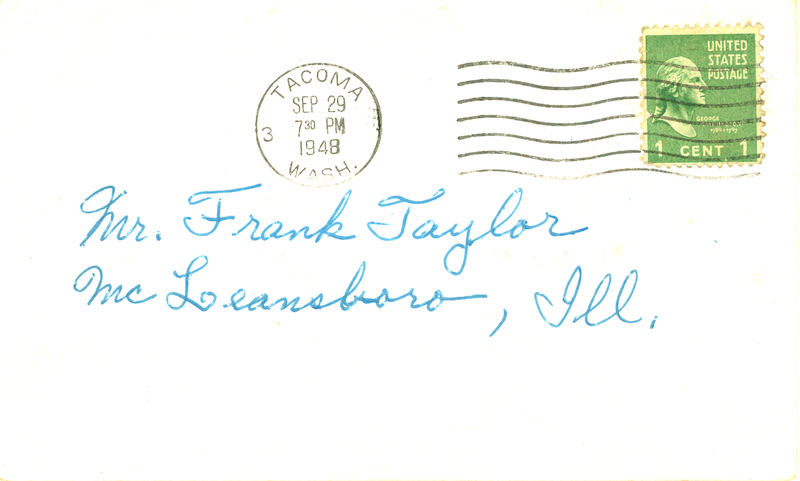 QSO commonly refers to the contact between two amateur radio stations. 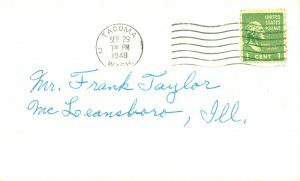 Jonas mailed this proof of contact out to Frank Taylor of McLeansboro, Ill. stating contact was made September 27, 1948 at 10 am. What I love about this is all the extras that Jonas added — the picture of the mountain, the hight of Mt. Rainier, and Silver Lake. 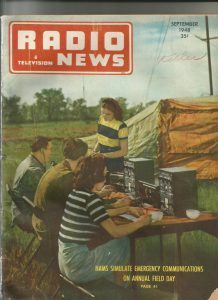 Amateur radio was quite popular in 1948 judging by this 1948 cover of Radio News. 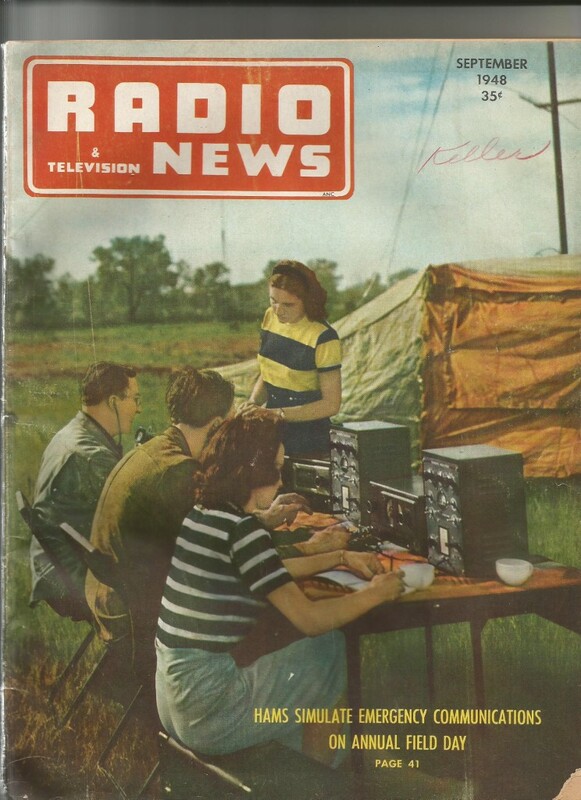 There is quite a history about amateur radio. To read a little, just click HERE. 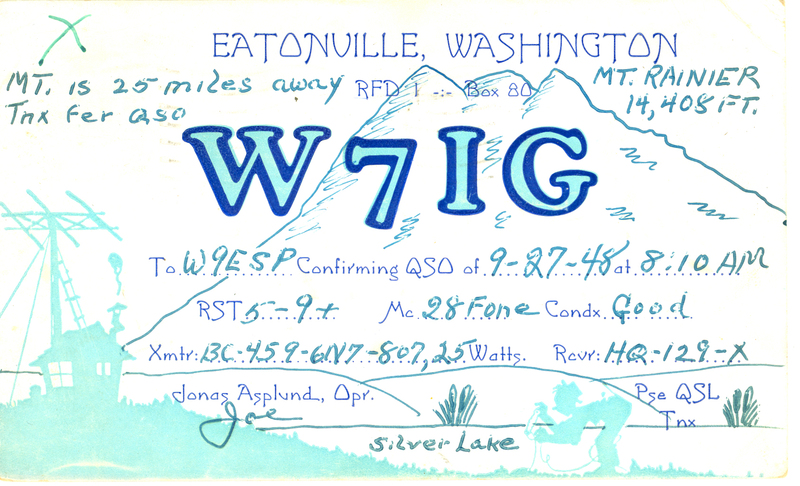 Also to learn more about call signs, check out the Wt71 Group. Images of card courtesy of Diane Mettler.